Elisha Birnbaum, one of the hottest guitarist in the religious sector, is now releasing his second single – “Mechakim” and putting a bit of the electric guitar that has so identified with him, into the depths of the soul and the anticipation of redemption. Elisha is one of the busiest musicians in Jewish music. Even before he produced his debut single ‘Ikvot‘ which has received a lot of attention plus over 100,000 views in the various media and more since then, he has performed alongside some of the greatest stars in Jewish music including; Avraham Fried, Hanan Ben Ari, Aaron and Yonatan Razel and others, sometimes with several performances a day. That being said, he he also appears quite a bit with as a solo act with performance of his own songs. About two weeks ago, Elisha arrived with the students of Rabbi Itamar Ben Gal, (who was murdered in the stabbing attack at the Ariel junction) to the President’s Residence, where they told President Reuven Rivlin that the school day was “The song “Ikvot” together with Elisha, one of the songs that Rabbi Itamar loved especially. “A song that talks about faith and willpower in difficult times, like a will he left for them – and for us,” the president wrote in his Facebook account. Now Elisha is releasing his second single titled “Mechakim.” It is a song of watching redemption and not despairing despite the troubles and difficulties on the way. 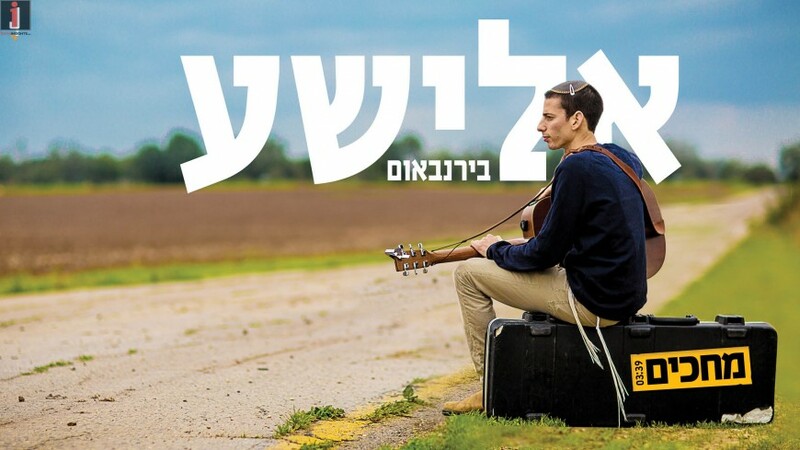 “Elisha is a guitarist, but the guitar is not in the center,” I wanted something calm and calm ” “Elisha’s content is drawn from the religious and yeshiva world in which he grew up, but they are presented in an Israeli-musical language that can touch anyone. A concert for the single will take place this Thursday, March 8, 2010 in the Diaspora, Petach Tikva.